Unfortunately it is not often enough that one get great service in South Africa, especially not from the technology sector. 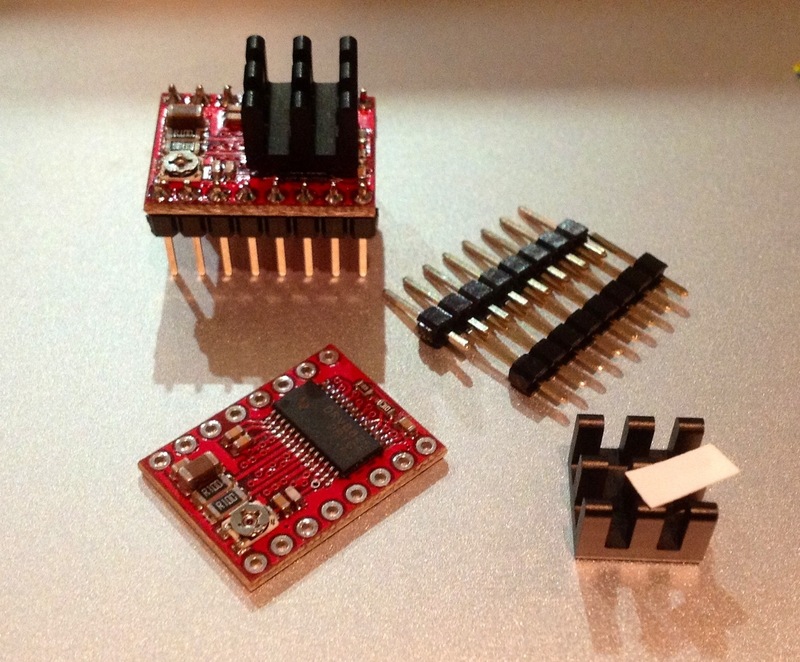 Black box industries not only undercut the pricing on their DRV8825 based “Coolsteps 2” stepper drivers, but modified them for fast decay for me, and supplied heat sinks as well for the same low price! You can contact them at info and the domain in the link above. At time of writing the page is not up yet, but I am sure they will find a good reason to do so soon! 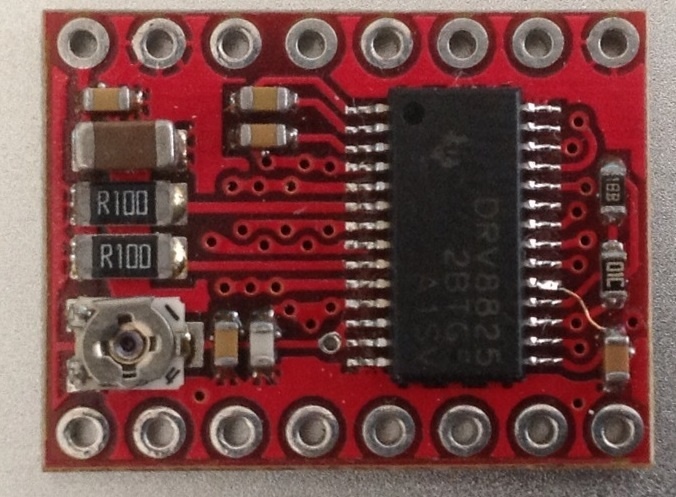 Additionally, they are bringing out an updated version of the driver on my request – there will be a solder jumper on the bottom of the board that will activate fast decay with only a tiny drop of solder. The boards below has been modified… Spot the fix (if you can)! Is it just me or are there 6 jumpers soldered in place? No… Us mere mortals do not have the force of the soldering iron. For us the next version will have a small tab at the bottom that you can bridge with a small blob of solder. Most of us are more than capable of leaving blobs of solder on boards… Right?